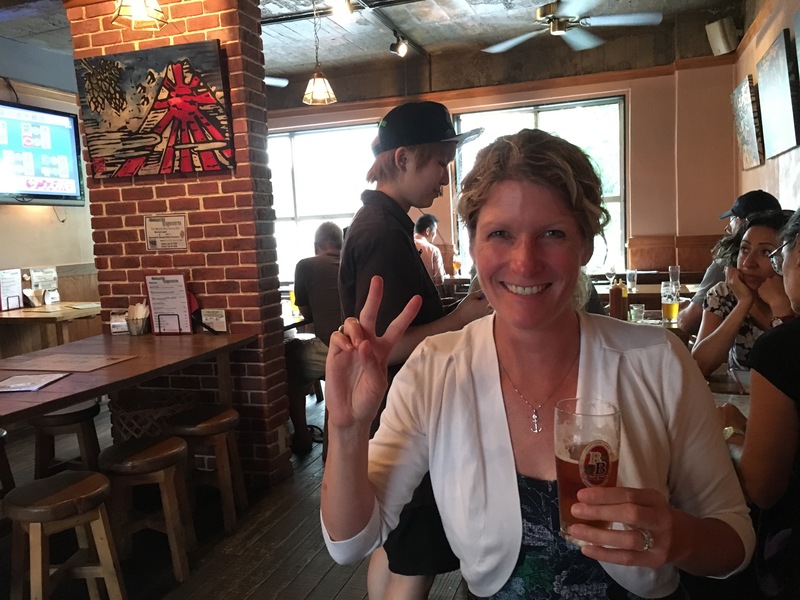 Dave and I went up to Yokohama to check out one of the microbrew bars. 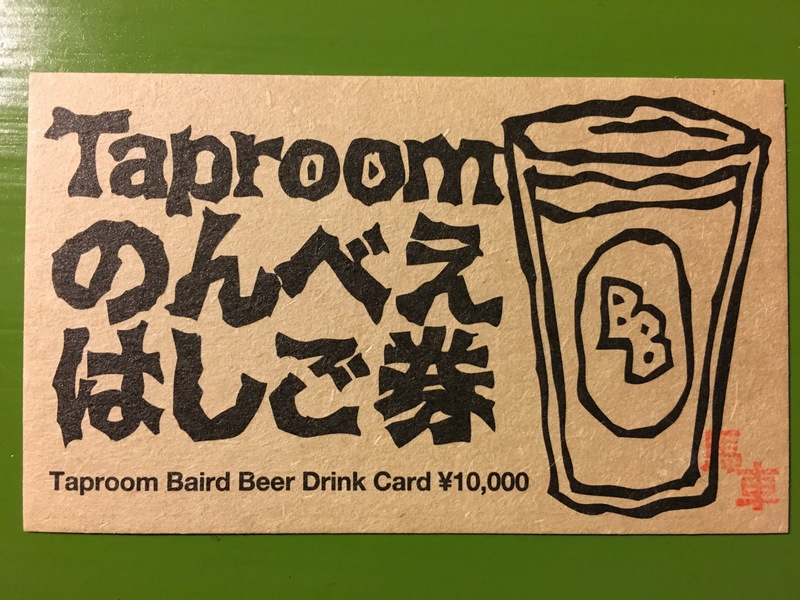 Bashamichi Taproom is owned and operated by one of Japan’s best craft breweries, Baird Brewery. 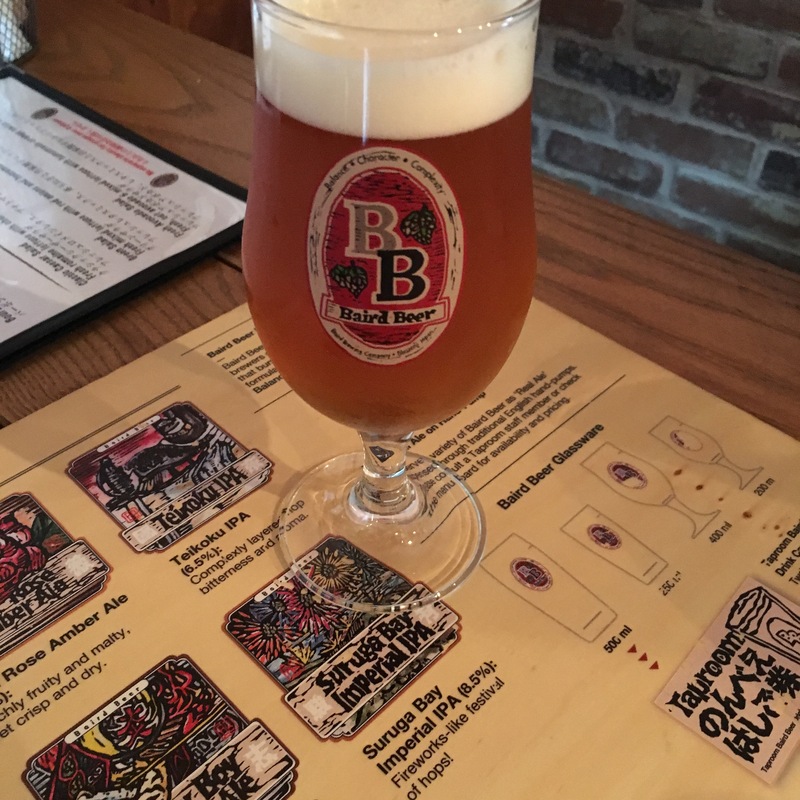 Besides delicious craft beers, Bashamichi Taproom also serves American barbecue. We started with a Shuzenji Hertitage Helles and a Suruga Bay Imperial IPA. We ordered a nacho appetizer. 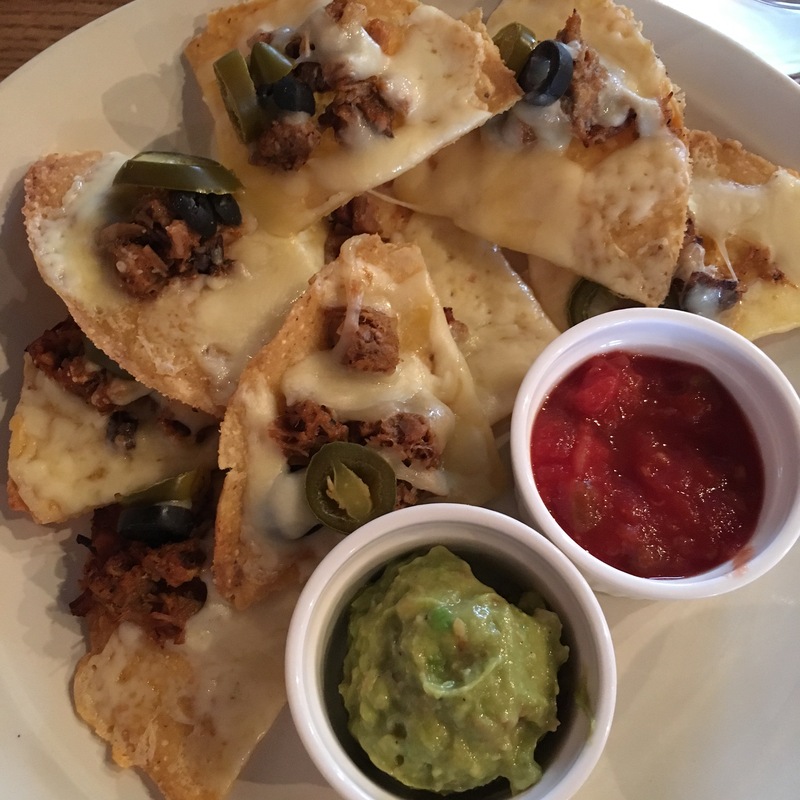 The nachos came in orders of four. So, you could order 4, 8, or 12 nachos. We were confused as well. We decided to go with an order of 8 nachos. Turns out it was 8 tortilla chips with perfectly placed toppings. Seriously. Only in Japan can you get an order of 8 tortilla chips. As we were preparing to order our second round of beers, I noticed the menu had a back. Surprise! 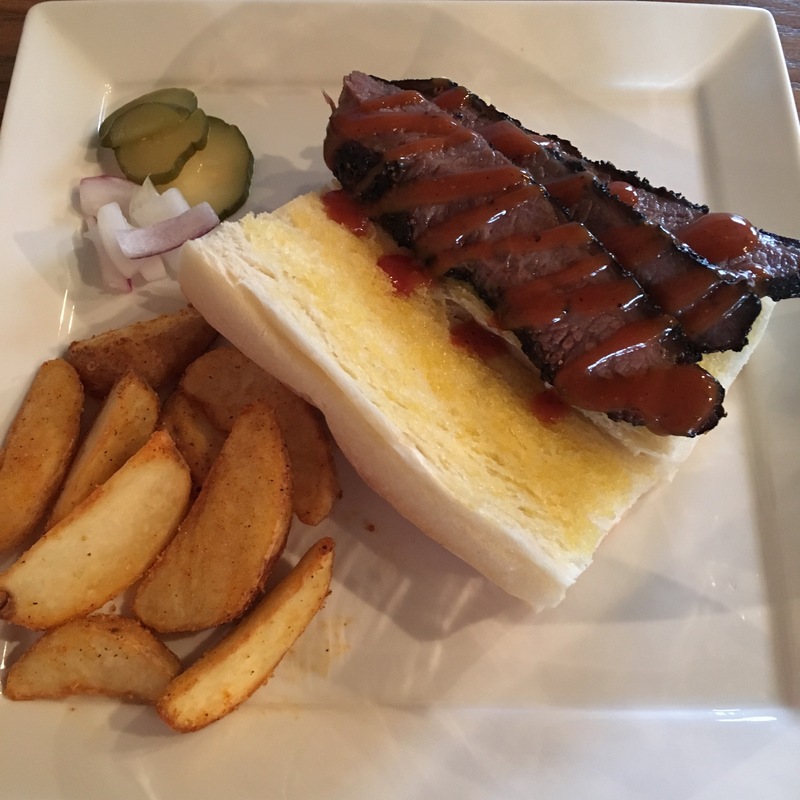 The amazing barbecue joint has a brisket sandwich. Yes, please! Good thing we only ate eight tortilla chips between us! The sandwich was delicious. American smoked brisket meets Japanese pan (bread). As the brisket fell apart, the pan held the sandwich together. Perfection. 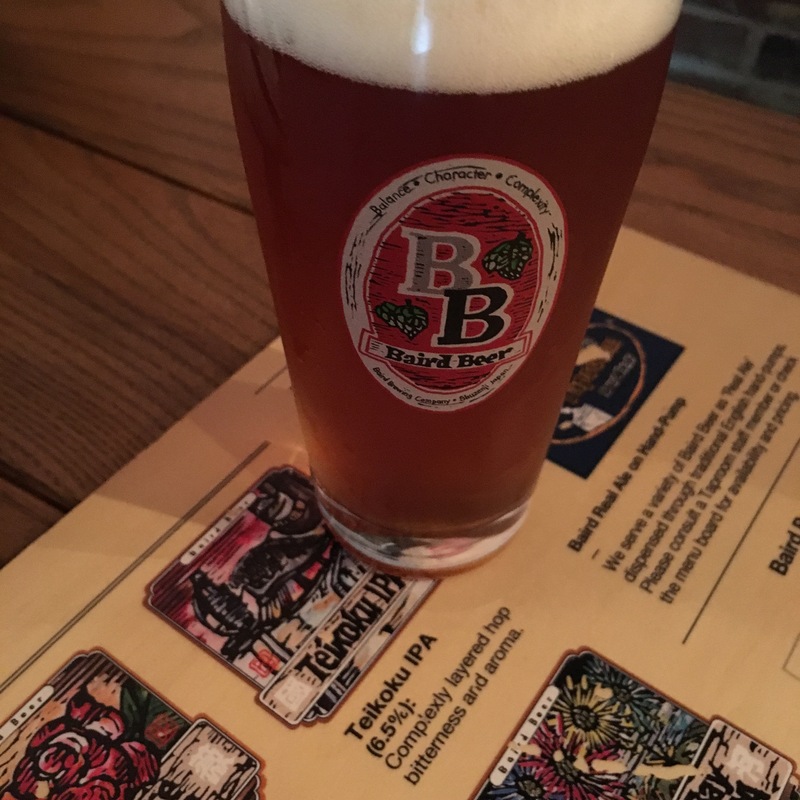 The second beer I ordered, Teikoku IPA, might be my favorite craft beer I’ve found in Japan. Dave and I shared the sandwich. The pickle bite was so many levels of perfect! We took the ticket to the cashier. Another person rang us up. 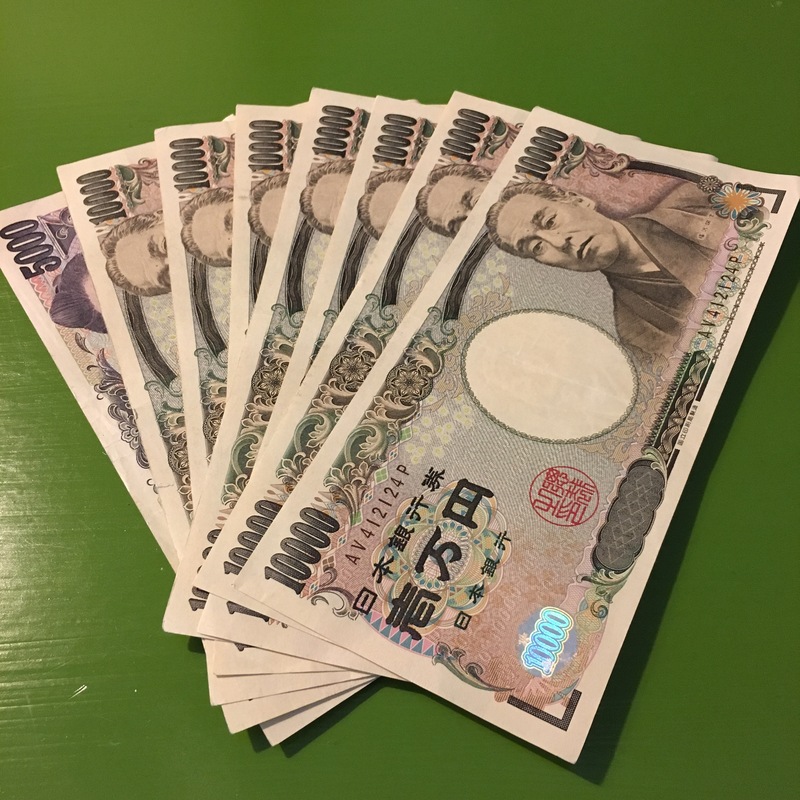 ¥14,000. Wait, what? 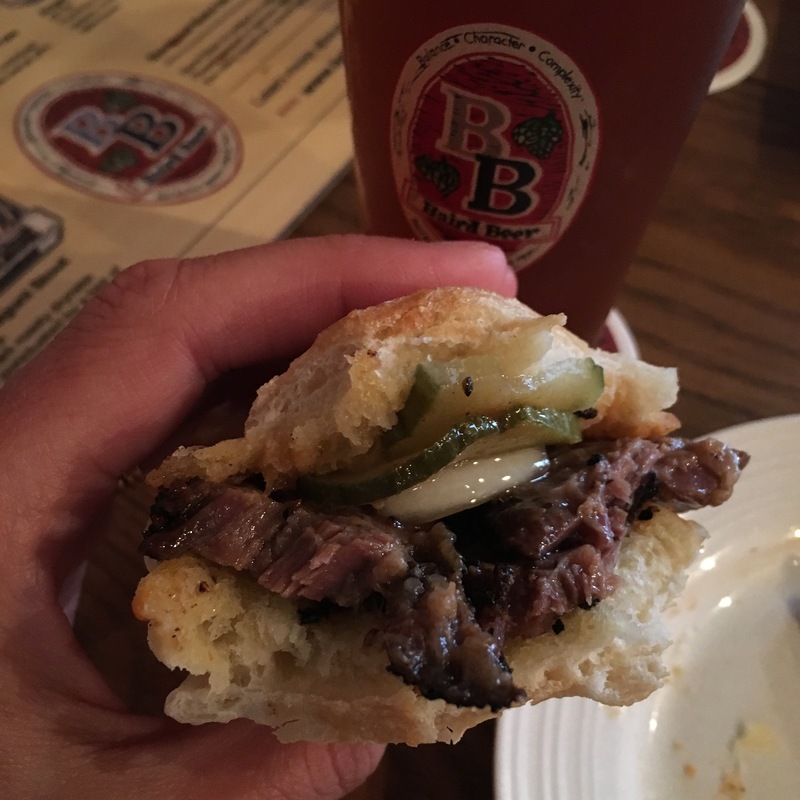 $140 for four beers, eight nachos, and one brisket sandwich!?! That’s ridiculous! But, I pay. And then try to understand what happened. Dave and I are discussing the price of food and the fact beer prices weren’t listed. Surely, the beers weren’t ¥2,500 each. That’s absurd. We were on the train home and it finally dawned on me to look at the receipt. 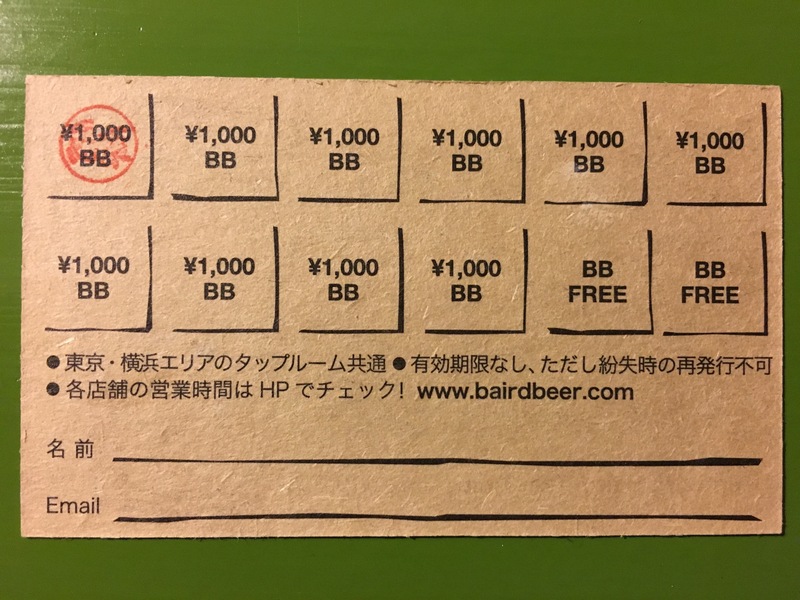 That’s when I realized, the card itself costs ¥10,000 – $100!!! 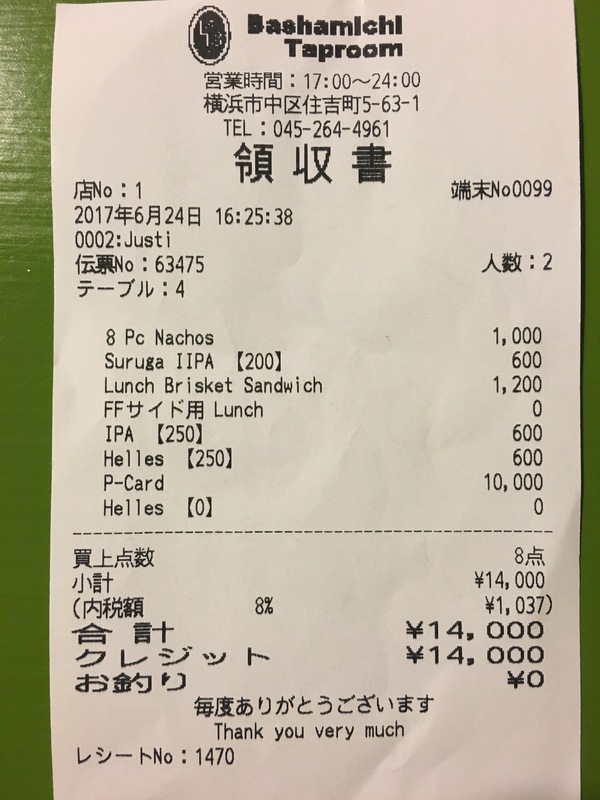 The food and four beers were only ¥40,000 – $40. Much more reasonable. And notice Dave’s beer isn’t on the receipt, because it was the first stamp! Simultaneously, the other side of the card clearly showed the price! So, yes, we will be going back. We have 11 more beers to drink and perhaps 11 more brisket sandwiches to eat! A rainy Thursday was the perfect opportunity to attend to a few errands that I have been procrastinating to complete. The most exciting was a visit to the local bank. 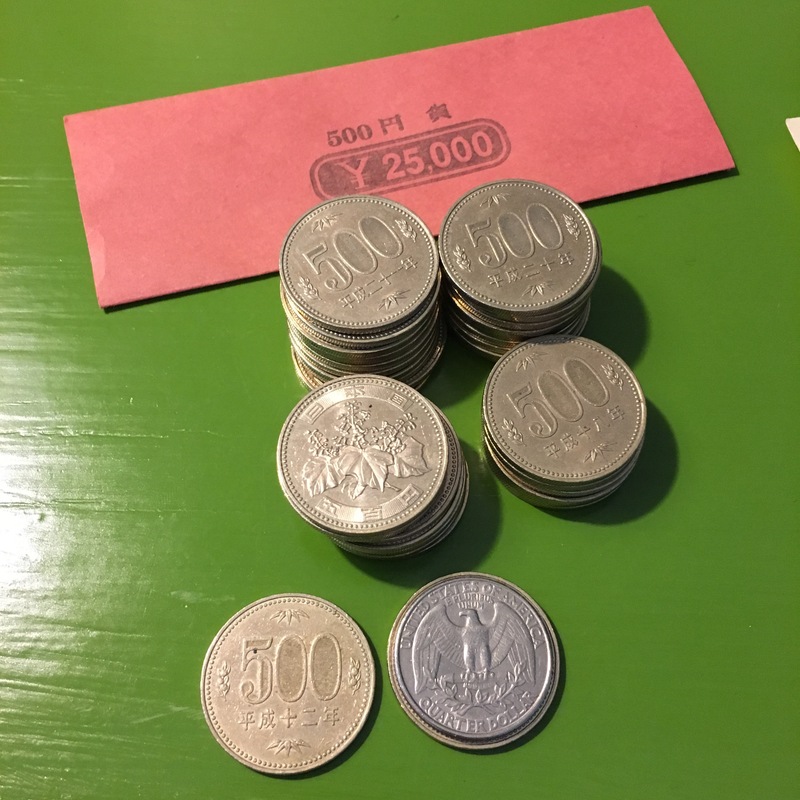 I needed to exchange my ¥500 ($4.56) rolled coins for paper bills. I forgot to take a picture of the rolls before I went to the bank. These are the leftover pieces and an empty coin roll. It gives you an idea. The ¥500 is slightly larger than a U.S. Quarter. It takes 50 of the ¥500 pieces to make a complete roll. I know you are capable of doing the math, I just wanted you to realize how many ¥500 pieces we had when I tell you we had three rolls!! (150+) And now you’re wondering, why did we have so many? During our Area Orientation Brief (AOB), one of the presenters told us his family saved all of their ¥500 pieces and then used them to pay for trips exploring Japan. Dave and I agreed this would be a great way to save for excursions. For the past 10 months, we have saved our ¥500 pieces. 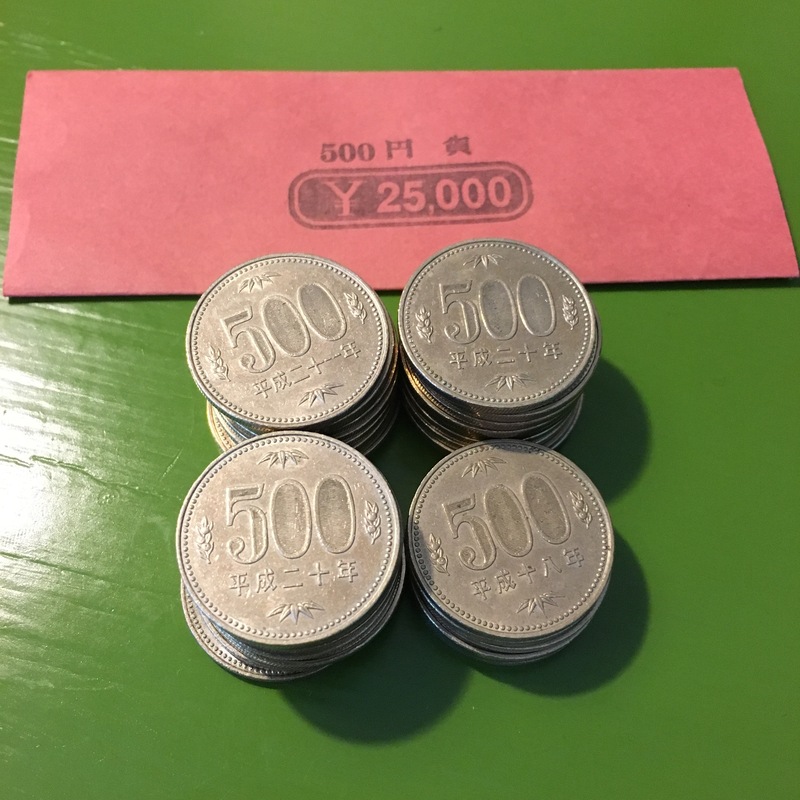 Recently, I rolled them into ¥25,000 ($228) coin rolls. The three rolls of coins we accumulated equaled ¥75,000 or approximately $684.33. The paper bills of ¥75,000 is much more impressive and worthy of a photo. Now that it is raining both inside and outside our house, I need to start planning our next Shinkansen adventure! 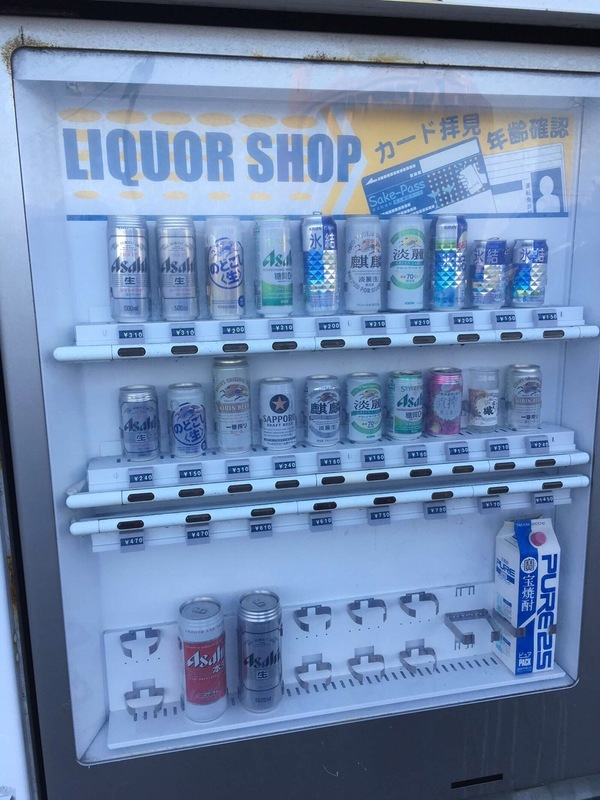 Vending machines are very common in Japan. There is always one nearby when you need it. 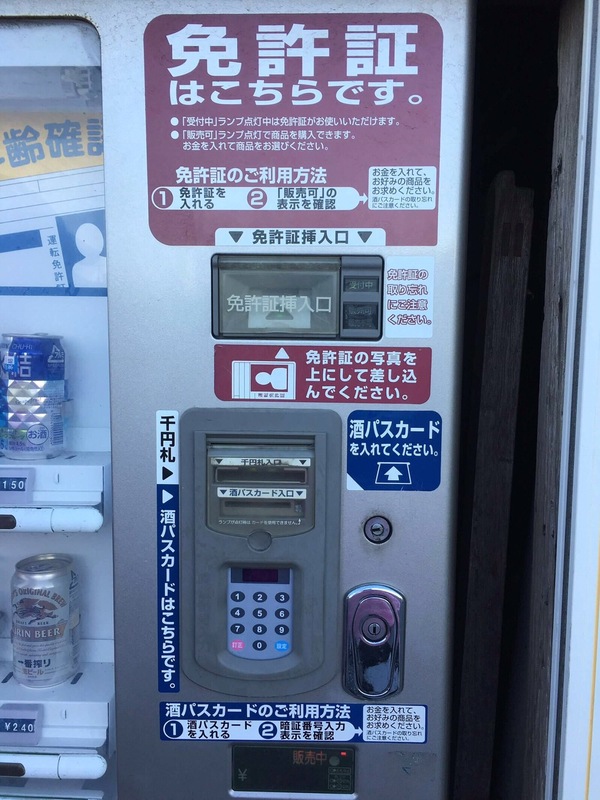 In fact, when we go out for a long run, we take yen with us and stop at a vending machine for water. It is a very convenient alternative to having to carry water on long runs. Normally, we see this type of vending machine. It is stocked with sodas, water, sports drink, coffee, and other options. If you look a little closer, notice the color of the price tag. The items with a blue price are cold and the items with a red price are hot. The other day, Dave and I were on our way back home during a long run, we saw a vending machine and decided to stop for water. Upon approaching the vending machine, we realized it offered a different option! 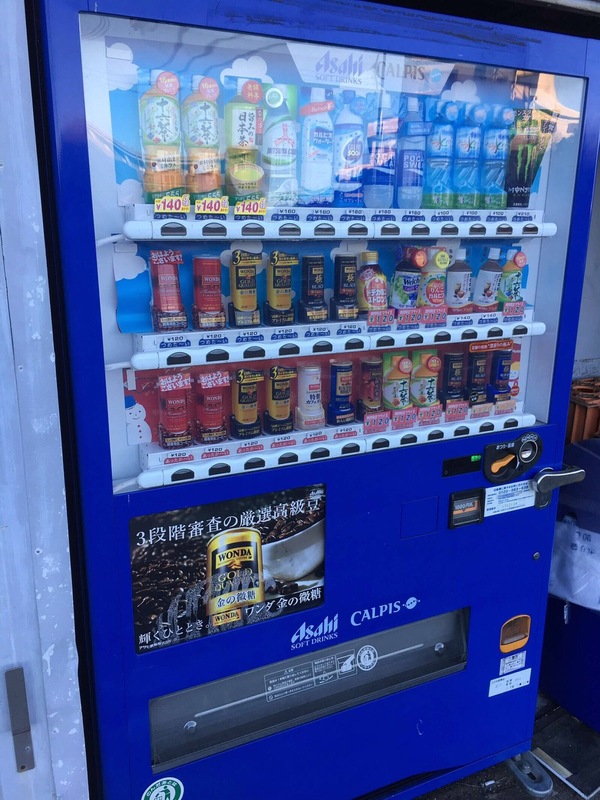 The vending machine was stocked with Chu-Hai and beer. Kanpie! We were confused about the advertisements for the Sake Pass. 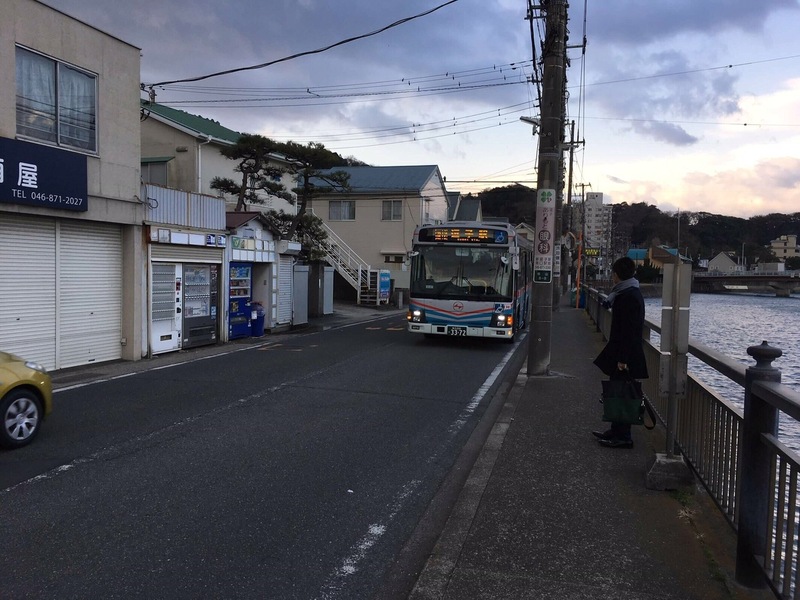 I took pictures and shared them with my Japanese friend Miki hoping to get a little bit more information. Here is the information Miki shared with me. I copied and pasted her message. “Oh! 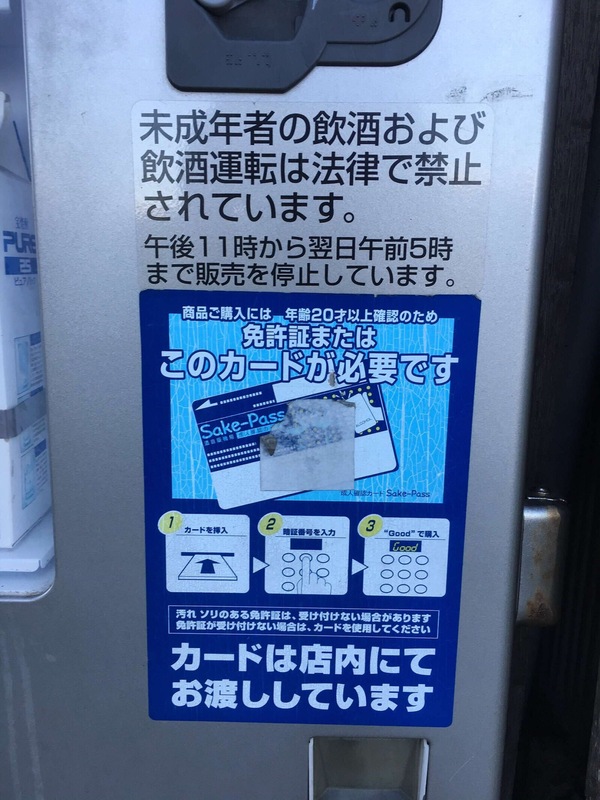 I didn’t know the liquor pass card.😅 the machine is not old. google…. When we buy alcohol by this machine. We put in Sake pass or drivers license. If we show ID the liquor store. They give us The card. It’s free. The idea was made by the maker of the vending machine company’s. but performance is badly. ha ha sometimes it doesn’t work. I asked my son about Sake pass card. he said There is two vending machines near my house. However, It’s not work😁 the machines don’t read the cards and Driver license. minor can buy Sake! They have friends who are over 21years old. I think minors can get the cards! Miki is fantastic and very funny. She has become my go-to when I have a “Japan” question. The even funnier part of the vending machine is the setting. Right in the middle of a neighborhood and right across the street from a bus stop. Convenient if you need a beverage to hydrate as you climb the hill to home! As always, every day is a chance to learn something new! Happy Friday! Kanpie! Update 10/19/17: since first posting this article, I have been able to find several alcohol vending machines during my travels. I have also purchased myself a Chu-Hai and Dave a beer. They were cold and delicious. After our long run this morning, Dave and I took the train up to Yokohama. 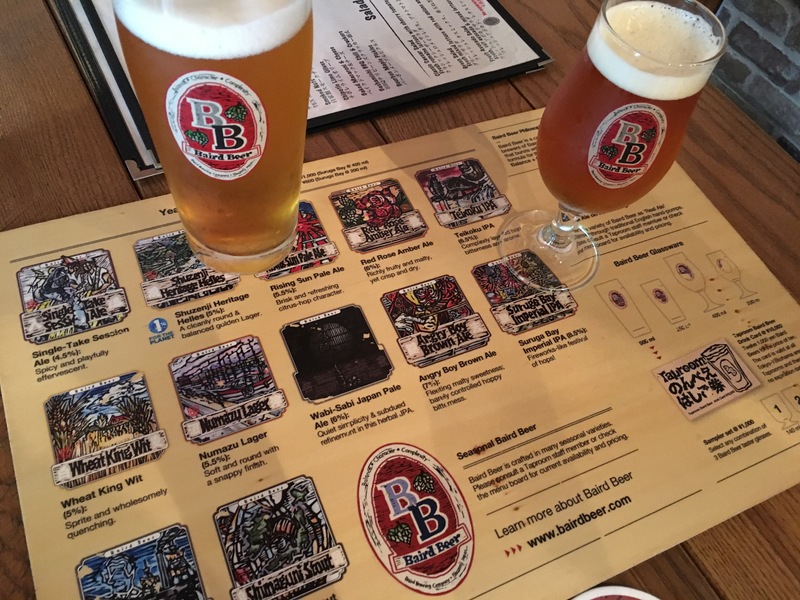 We wanted to enjoy a pint and lunch at the World Beer Museum. It is located in the Dockside Garden near the Landmark Tower. At the entry, there is a gigantic beer pyramid display. Very cool. We arrived a little bit before 2:00 pm. It wasn’t crowded and by the time we left it was empty. We both ordered a beer, of course, and shared a fried cheese and potato appetizer. Dave’s Japanese beer was more reasonably priced than my pint of an American IPA. The Pike IPA I ordered was ¥1380 or about $13. It was delicious and worth every yen. The fried cheese was probably the highlight of the meal. After our appetizer, we shared an order of nachos and fish and chips. Both were the perfect size for sharing. The nachos were more of a bean dip and tasted pretty good. The chips were hot and fresh and tasted much better than the fish. The batter was very sweet and didn’t have the “beer batter” flavor we are accustomed to when eating fish and chips. Within the restaurant there was an American bar and an Irish bar. These two signs were my favorite. Dave and I agreed it was an “ok” lunch spot. We both left wondering when, if ever, the restaurant was crowded. Yes, that’s right. January through March is strawberry season in Japan. The strawberries are mostly grown in greenhouses, enabling a winter growing season. Fruit in Japan is often considered a dessert. Strawberries are no exception. They are beautifully packaged and can be very costly also making them a nice present. These strawberries are for sale at YorkMart, the Japanese grocery store near our house. One of the packages pictured below is ¥753 including tax. With 11-15 strawberries in a container, that is a pretty steep price! However, for the fresh right off the vine taste, the price was worth it. The strawberries taste delicious and freshly picked! This is the package I purchased from the YorkMart. These Japanese strawberries were for sale at the Commissary on base. The package I purchased at the Commissary for $4.99. Fresh strawberries are not the only popular item during strawberry season. Looking around the grocery store, I found strawberries in a variety of items. From snacks, cookies, chocolates and nuts! I also found strawberry chu-hai, strawberry pocky and chocolates with strawberry filling. The best find was the delicious pancake with strawberry and cream filling. As with other things, the Japanese didn’t invent the strawberry, they just found a way to make it a little bit better. 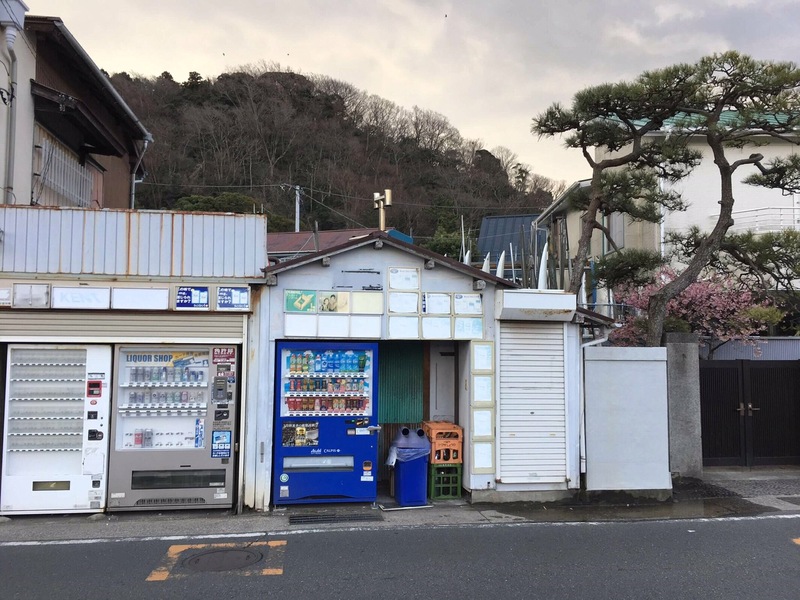 They made it better by offering fresh vine ripened strawberries in the middle of winter when everyone is craving a little extra vitamin C.
Throughout Japan there are vending machines that will dispense small toys inside plastic capsules. They are called gashapon or gachapon or just gacha for short. The word gachapon is a Japanese onomatopoeia. “Gacha” for the sound the dial makes as it turns and “pon” for the sound of the capsule dropping. The gacha machines are everywhere and have toys designed appeal to all ages. The gacha have a variety of available toys. Most of the gacha machines I have seen cost either 200¥ or 300¥. The machines only take a 100¥ coin. Typically, the toys are sold in sets of 5 – 7 different toys. However, your purchase only gives you one toy at a time. Trying to collect all of the toys in a set can become frustrating and expensive because you are making blind purchases. Not to mention, the series you are trying to collect may be difficult to find. I keep trying to get a dog drinking beer. All I have gotten is a sad cat drinking Sake, twice. Each time I go shopping, I check the gatcha machines. 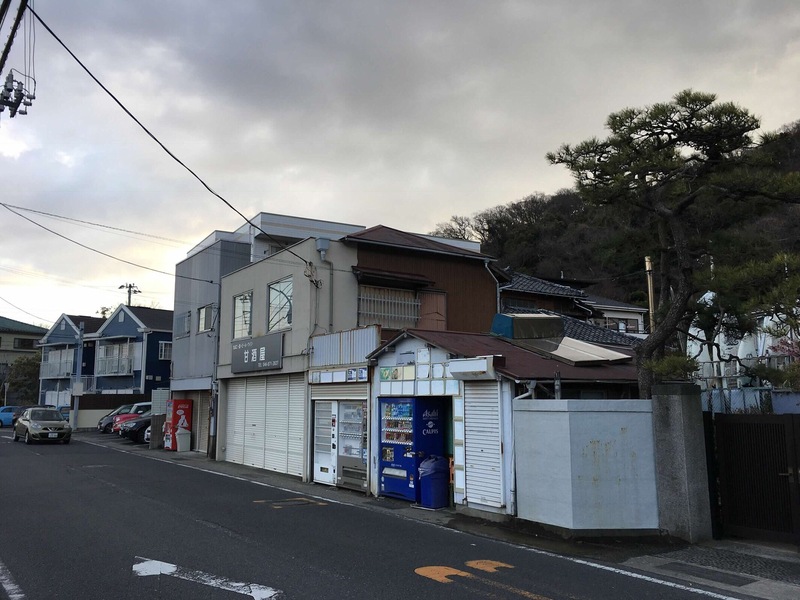 The closest one to me here in Zushi is at the Japanese grocery store, Yorkmart. Here are the gatcha I have collected from the grocery store. They are supposed to be little cherub statues. Peeing. What in the…?? I have also been looking for my favorite Japanese characters from the Neko Atsume (Cat Collector) app. I finally was able to find them today while in Yokosuka. Yay! This series are like the opposite of wine charms. They sit under your wine glass instead of hanging on them. The brunette with a smashed umbrella makes makes me giggle. I think of my friend, Sue, enduring car rider circle in VB during a Nor’easter. Just make it wine time already!! A couple more things you should know. During my gacha collecting, I have gotten duplicates. These I plan on sharing with you and I hope they make you laugh. Second, when you come to visit and if you fly into Narita Airport, there is a expansive collection of gacha machines. You will be able to search and find your favorite to look for throughout your visit! There are so many choices! !